At the epitome of Christmas time make up is a bold, classic Red Lip. I was lucky enough to be sent these from each of their Fall/Holiday Collection and I have to say, I’ve had my playtime with each and have already ‘the one’ for Christmas Day. 1. 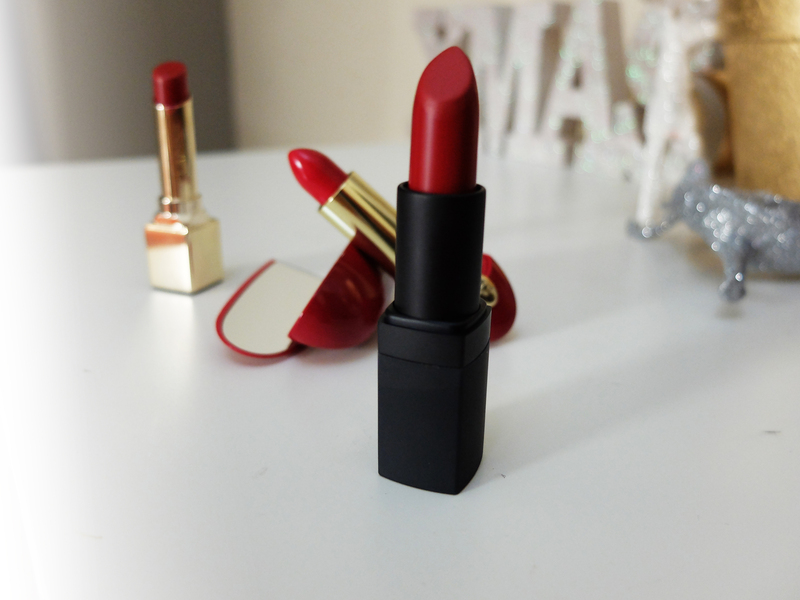 Nars Hardwired Lipstick in Deadly Catch: Out of the three, this shade has definitely gotten me head over heels in love, the shade tends to be warm yet has a touch of a cool-toned ruby hue that is absolutely stunning. In terms of the formula of these lipsticks, I’m quite a happy customer however this other colour in Adriatic has proven to be a miss as it settles in fine lines and doesn’t do as good of a job. I’d recommend trying the darker shades from this range as they are beautifully long-lasting and very opaque. 2. 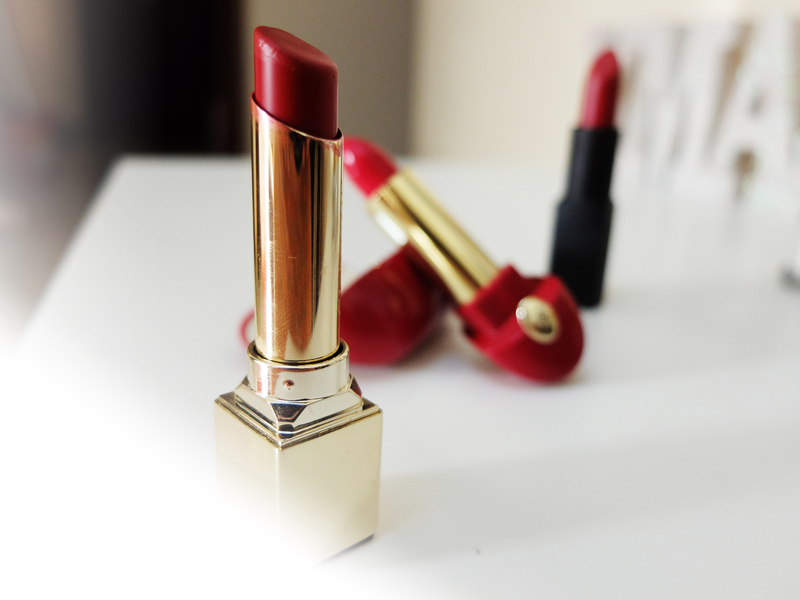 Guerlain Rouge Parade Rouge G lipstick: This is a ‘true red’ stunner that brightens your skin colour over all. I’d strongly recommend this for deeper skin-tones as the shade would be exceptionally complimentary. 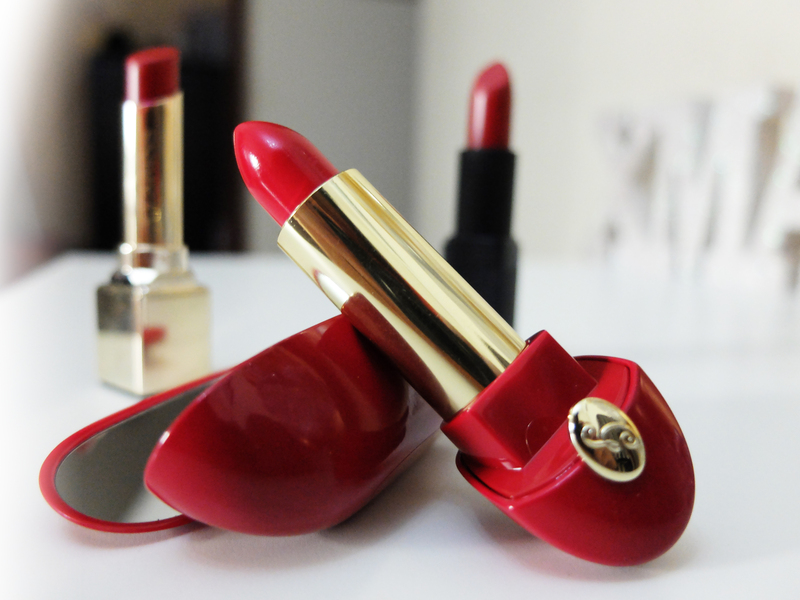 It doesn’t tend to fall under cool or warm tone category and is a neutral bright red that leaves a soft satin finish. It doesn’t last very long, but I’d give it a mediocre (4-5 hrs) lasting power that leaves behind a gorgeous stain. 3. Clarins Rouge Eclat in Red Fuschia: This is a pinky(ier) version of the above and also much moisturising on the lips that makes it very forgiving but also reduces the staying power. With that said, this one probably fades in the most eloquent manner possible (for a lipstick anyway). I am absolutely gaga for this colour and this would particularly be an easier red to venture into if you’re a bit of a bold-lip nube like me.